If you wanted to have a print of one of the shots of you rallying, or download a shot for personal use but just never got around to it, now is the time. 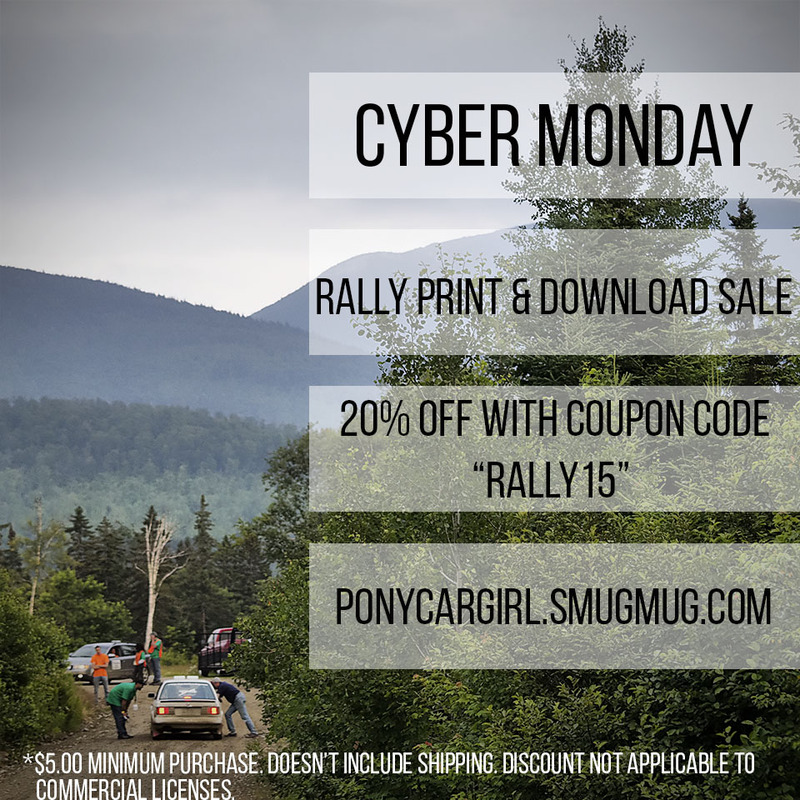 For Cyber Monday, you can get a 20% discount on a minimum purchase of $5.00 by using coupon code “Rally15” at check out on select SmugMug rally galleries. The fine print: sale is limited to photographs in the Seed 9 2014, Waste Management Winter Rally, Susquehannock Trail Performance Rally, New England Forest Rally, and Seed 9 2015 galleries. Discount applies to the products only and not shipping; discount is not available for commercial downloads.